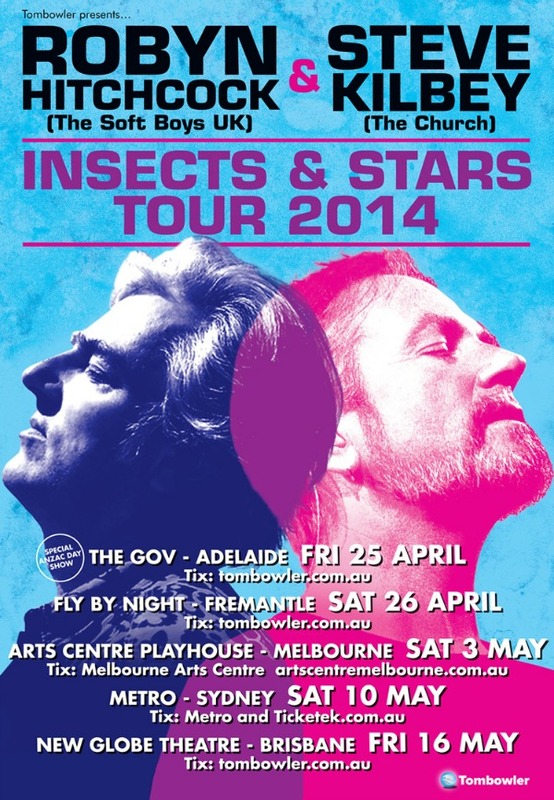 The pair, who apparently never had met previously, will play concerts together in Adelaide, Fremantle, Melbourne, Sydney and Brisbane as part of what’s being dubbed the “Insects and Stars” tour. Kilbey’s been collaborating a lot of late, having just wrapped up a run of shows Down Under with Mark Gable of The Choirboys and former Church drummer Richard Ploog. He also played with Greg Dulli of The Afghan Whigs in Los Angeles and San Francisco last fall. “Just four tour dates”…yet there are five dates on the poster(? ).